In this blog we'll be giving you a refresher on gelatin! Gelatin is incorporated in many products in which it cannot easily be substituted. It is usually made from proteins from the bones and skins of pigs and is sold in two forms: gelatin leaves and powdered gelatin. Although both produce the same result, there are some differences between them. Powdered gelatin is often used to make sweets as it is more resistant to heat than gelatin leaves. Powdered gelatin needs to be dissolved in the liquid you eventually use. This liquid is initially at room temperature or cooler, is allowed to stand for 15 minutes after you add the gelatin, and can be heated up to a maximum of 50 degrees. Gelatin leaves can absorb ten times their actual weight in moisture. It is therefore important for the gelatin to be soaked in cold water at a temperature of 7 degrees. This will make it easier for the gelatin to dissolve afterwards in a warm liquid. 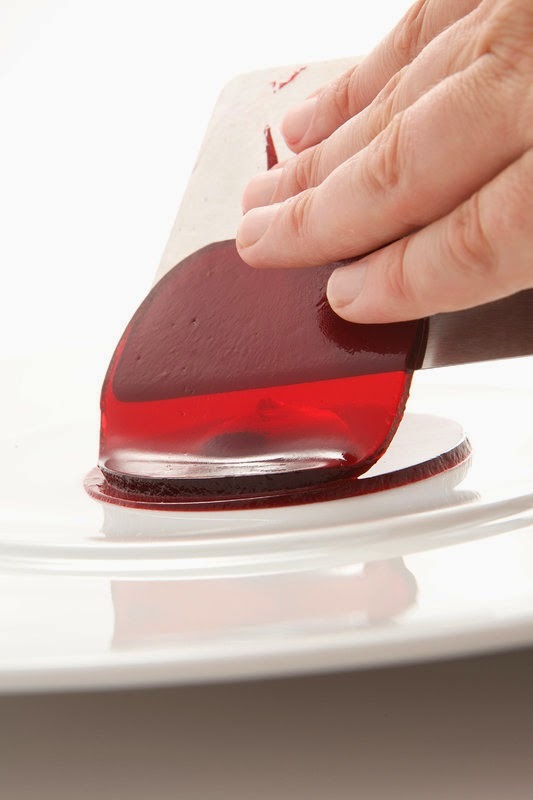 Due to the small surface area of gelatin leaves, less air gets into the liquid, making the leaves suitable for making clear jellies, for example. Gelatin is used in cooking not only as a gelling agent, but also as a binding agent, emulsifying agent, and stabiliser. Gelatin must never be allowed to boil. This is because it is a protein that will coagulate at high temperatures and lose its gelling ability. If you want to substitute gelatin leaves with powdered gelatin, remember that one gelatin leaf is equivalent to 1.5 grams of powdered gelatin. Want to know how you could use gelatin in the kitchen? At Gastronomixs you'll find various components containing gelatin!